In the months leading up to the 2016 election, Republican presidential nominee Donald Trump has repeatedly made claims that the election is rigged. In a way, he’s right. Only the rigging happens long before anyone casts a ballot on Election Day and in most places it’s completely legal. Gerrymandering is the age-old practice that’s made many teenagers’ eyes glaze over in high school civics class. In case you need a refresher, it’s the process of drawing election districts to give one political party — Republican or Democrat — an advantage over the other. Maps are drawn to maximize one party’s voters over as many districts as possible while concentrating the opposing party’s voters in as few districts as possible. The result is districts that favor one political party. In most states, whichever political party holds the majority and the power in state government gets to determine where the lines are drawn every 10 years. Keystone Crossroads went out to some of the most gerrymandered congressional districts in Pennsylvania and spoke to people who live and work along these lines about the current election. 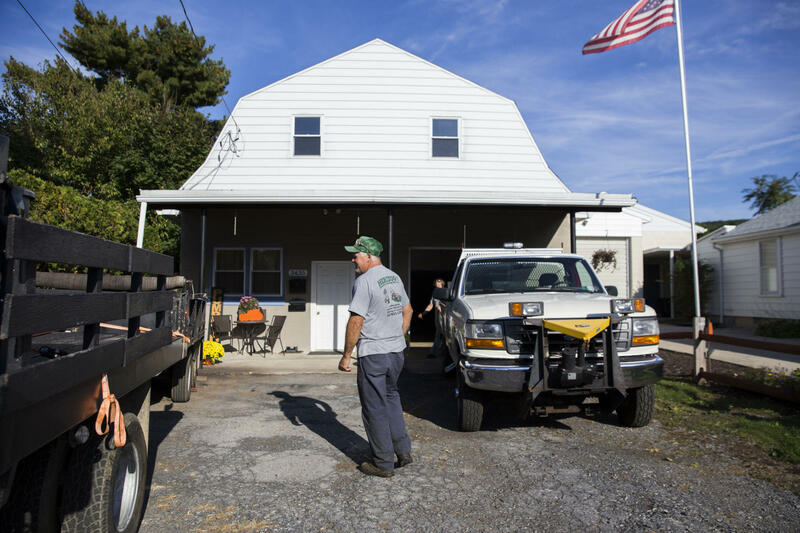 Dave Hertzog owns a small business on one of the district lines in Berks County. "We have two people that shouldn't be running. Trump isn't suitable and Hillary has too much baggage -- including Bill," said Hertzog. "I supported John Kasich. What do you do? Write in? I don't know what to do." 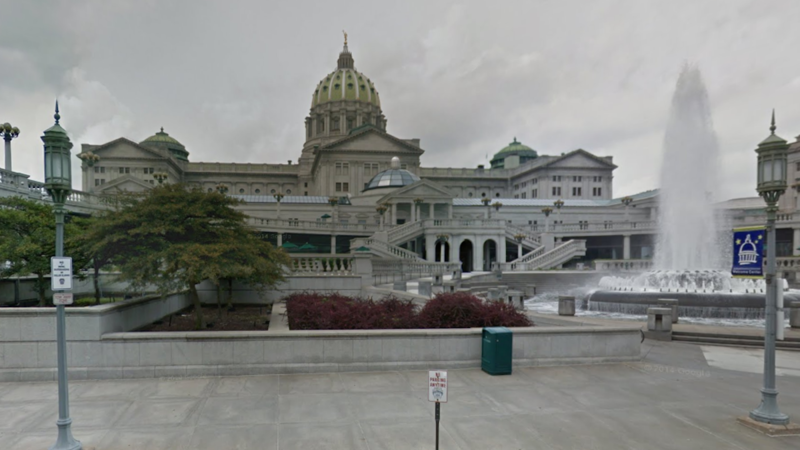 In Pennsylvania there are about 900,000 more registered Democrats than registered Republicans. National and statewide elections are competitive. But when you look at the electorate in congressional voting districts, out of 18 seats in the U.S. House of Representatives, Republicans hold 13 and Democrats hold five. 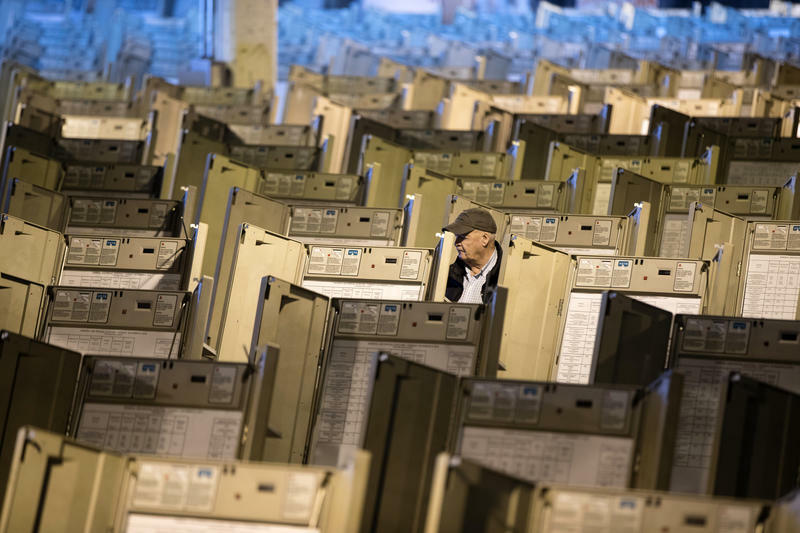 Michael Li, Senior Counsel for the Brennan Center’s Democracy Program, said because so many Democrats live in and around Philadelphia and Pittsburgh, you wouldn’t necessarily expect the election outcomes to exactly reflect the statewide ratio, but that there’s no question that gerrymandering skews the results. Pennsylvania's 7th congressional district is often considered the poster child of gerrymandering. The district cuts through five counties and a number of municipalities, including Chester, Upper Darby and Glenolden. On the map, the district looks like an alien character from the classic arcade game Space Invaders. In Maryland, a similar dynamic plays out but it’s the Democrats who hold seven seats in the U.S. House of Representatives to the Republicans’ one. Li says that when districts are made artificially uncompetitive, favoring one party or another, it’s unhealthy for democracy and disengages voters. When a district is competitive, money pours into a race for advertising, potential voters are flooded with mailers, and canvassers knock on doors to register people. If it’s not competitive, Li says, voters may not even know an election is going on. Many of the potential voters we spoke to said they didn’t know much about local races and had a hard time finding information about candidates. A view of the city of Reading from Museum Road. Reading, Berk's county seat, is carved out of the 6th congressional district and included with Lancanster and Chester counties. 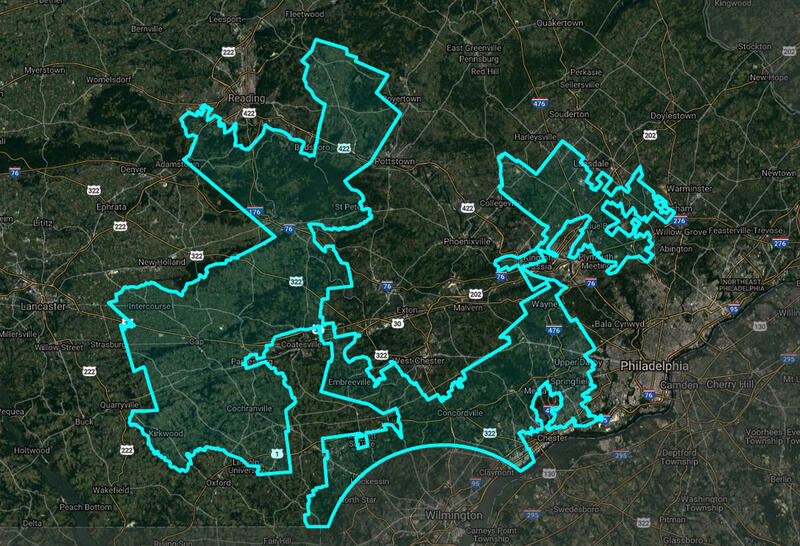 There are no specific guidelines that Pennsylvania legislators must follow when drawing congressional districts, except for the U.S. Constitution, which requires each district to have about the same number of people. The rules are different for drawing the boundaries of state house and senate districts. The Pennsylvania Constitution requires that districts are compact, contiguous, and that no municipality is divided unless absolutely necessary. David Thornburgh, president and CEO of the Committee of Seventy, a non-partisan government watchdog group, says it’s important to find the common ground between voters. That means both the common challenges and the common interests that voters might experience in a particular region. Berks County is an example of a community whose common interest — and geography — gets divided up. There are about 19,500 more registered Democrats living in Berks County than registered Republicans and the county is divided among four congressional districts, all with a Republican congressman — none of whom reside in Berks County. At the core of Berks County is Reading, a struggling city with about 88,000 residents who are mostly Latino. About 40 percent of residents live below the poverty level. Reading is carved out of its surrounding region and the 6th District and drawn into the 16th District that includes parts of Lancaster and Chester counties. Michael Toledo, executive director at the Hispanic Center in Reading said that gerrymandering negatively affects the residents and where they live, work and raise their families. Reading Mayor Wally Scott, a Democrat, said he’s been in office for 10 months and he has yet to see or work with U.S. Congressman Joseph Pitts. Pitts is retiring after nearly 20 years in office and not running for re-election. He was not available to comment or return phone calls about this story. A cyclist at North 5th Street in Philadelphia, near the confluence of three congressional districts. In Philadelphia, for every one registered Republican voter there are at least six registered Democratic voters. With more than 1.5 million residents, the city is broken up into three separate congressional districts — the 1st, 2nd, and 13th — all held by Democrats. Surrounding cities in Montgomery County like Norristown, Ambler and parts of other municipalities in Delaware County like Upper Darby and Chester are included in the districts that represent Philadelphia. The confluence of these three districts is North 5th and Wingohocking Streets in Philadelphia, an area with mostly black and Latino residents. About 45 percent of residents live below the poverty level. From this intersection, you can walk into three different congressional districts simply by crossing the street. Committee of Seventy’s Thornburgh says that for leaders on the local level, having three congressional representatives makes government less efficient. Philadelphia Councilwoman Maria Quiñones-Sánchez, a Democrat who represents part of the area, said governing becomes a real challenge and she notices that the area’s congressional representatives tend to be hands off. She said that same area, which could be considered a community of interest, is also split among three city council members, three state legislators, and the cities’ ward districts. A quiet suburban street in Horsham marks one of the boundaries between the 13 and 7th congressional districts. To the left is the 13th District, which includes Philadelphia; to the right is the 7th District, which includes five counties. Carol Kuniholm, co-chair of Fair Districts PA and the League of Women Voters of Pennsylvania, says that overall, gerrymandering is harmful for democracy. Fair Districts PA is a non-partisan organization that’s pushing for redistricting reform. Specifically, the group recommends that a newly-created independent citizen’s commission make those decisions and draw the congressional district lines. “People who feel like their vote doesn’t count — there’s really good reason for it — because most of the time it doesn’t,” said Kuniholm. In Pennsylvania, the congressional district lines are drawn by the state legislature. Every 10 years, after the U.S. Census comes out, the State House and Senate pass a bill that determines how the districts are drawn. It then heads to the governor’s desk for signature. To change that process, the state’s constitution would have to be amended — a heavy lift by any measure that requires house and senate bills to be passed in two consecutive sessions of the legislature and then approved by voters in a statewide referendum. Kuniholm and others, including Committee of Seventy’s Thornburgh, say they’re hopeful that it could be the right moment for reform. A cyclist rides along Lancaster Avenue crossing the municipal and congressional district boundaries in Reading, Pennsylvania. Senate Majority Leader Jake Corman, a Republican from Centre County, says it’s easy to criticize from the outside the way the lines are drawn. He says the current map is fair. The problem, said Corman, is drawing congressional districts with equal populations. At some point, he said, some communities and counties like Berks and Monroe got divided. State Senator Lisa M. Boscola (D – Lehigh, Northampton) is the lead sponsor of a bill (SB484) that calls for an independent citizen’s commission to draw the congressional map. Boscola says the current system favors incumbents and disenfranchises voters. Similar to states like California and Arizona, the bill would take the redistricting process out of the hands of the legislature. Boscola said that party politics and current representatives in congress are able to influence where the lines on the map are drawn. Rather than jagged lines that include and exclude pockets of voters, she wants to see more rectangular districts on the map. To Boscola, the process is backwards. State Rep. David Parker, a Republican from Monroe County, is leading the redistricting reform effort in the house. He said the bill (HB1835) is trying to take the politics out of the process as much as possible. The real challenge for redistricting reform, Boscola said, is getting support from the state’s majority leaders. Corman said he is open to better ways and suggestions for drawing congressional boundaries, but that he hasn’t seen anything yet that has garnered enough support. Steve Miskin, a spokesperson for House Speaker Mike Turzai (R- Allegheny), also questions whether a new citizen’s commission could ever truly be independent and how the members of such a commission would be held accountable to the voters. The next time Pennsylvania’s map will be redrawn is after the 2020 Census. 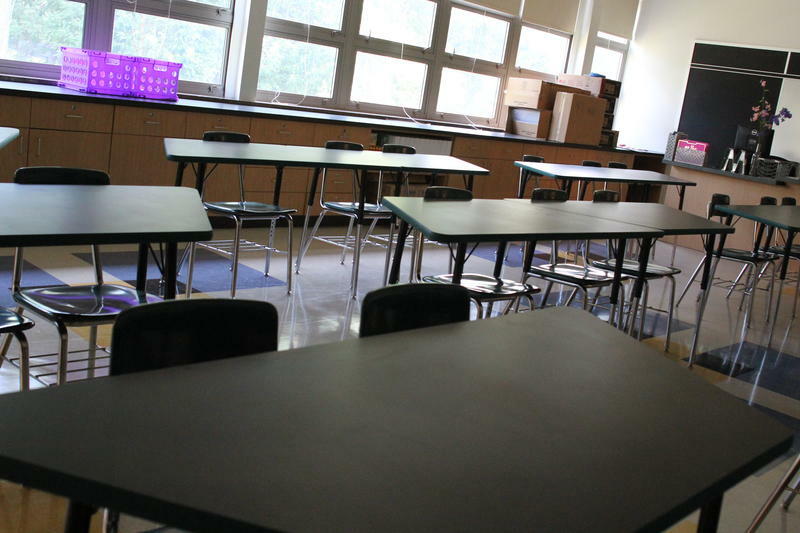 School district enrollment levels have dramatically shifted in Pennsylvania over the past 25 years. 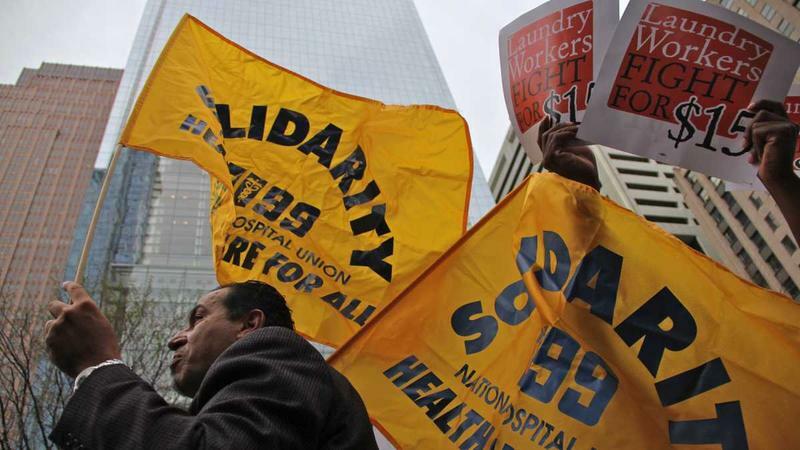 Working And Poor: Candidates Respond To Calls To Raise The Minimum Wage, But How Much Is Enough? Some people go out for dinner and a movie. But for Heather Huff and her fiancé, Friday nights are for paying the bills. Usually, inadequate representation lawsuits go like this: your lawyer does a bad job defending your case, you're found guilty, and then you seek a new trial on the grounds of insufficient counsel. It's a single response to a single instance of misrepresentation. But what if a public defender system is so chronically underfunded and understaffed that criminal defendants know going into their case that they won't be able to get a proper defense? Must they wait, individually, for their case to be tried and then hope for some sort of relief? In 2014, three roommates in New Paltz, New York discovered that their $20 thrift store couch wasn’t lumpy with age, but envelopes stuffed with cash. More specifically, the life savings of a widow whose husband wanted to be sure she was taken care of when he was gone. 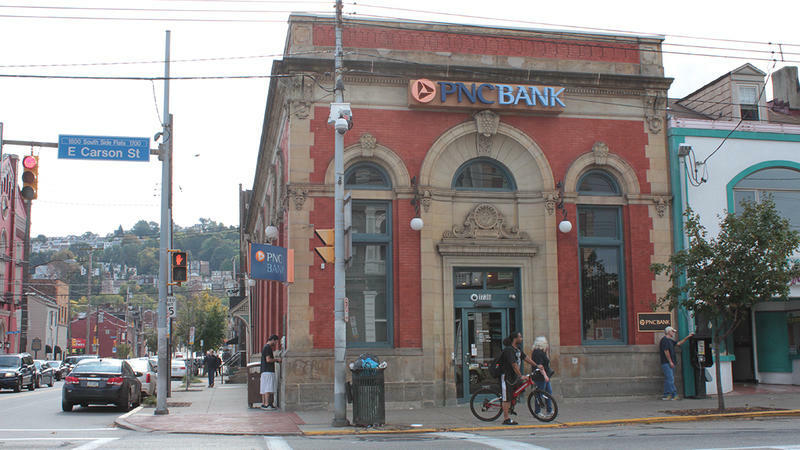 A few weeks ago in Ambridge, Republican presidential nominee Donald Trump wrapped up his speech with a request for Pennsylvanians to not just vote, but to monitor others. Election Day is Tuesday, Nov. 8 and there’s no need to head to the polls clueless. WESA has a handy guide the help you through it. 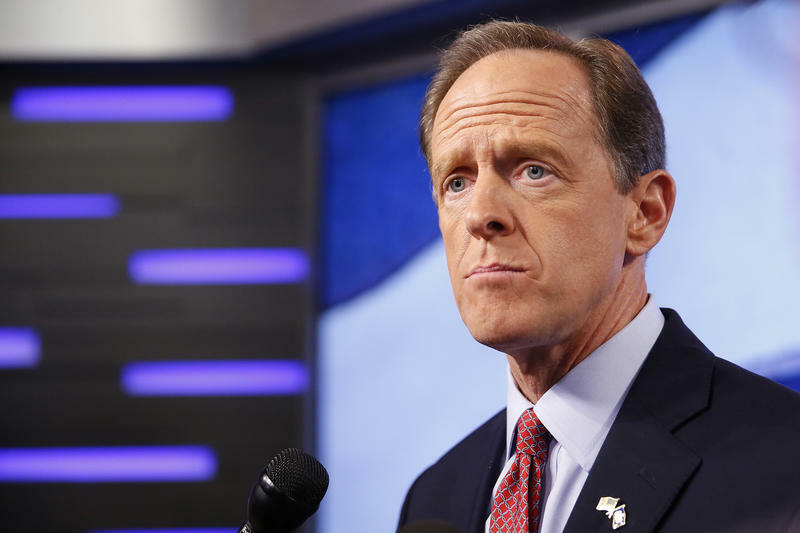 With the exception of the presidential campaigns, the Pennsylvania U.S. Senate race between incumbent Republican Pat Toomey and Democratic challenger Katie McGinty is the most expensive in the country. The matchup is being closely watched because it’s one that could tip the balance of power in the senate in favor of the Democrats. 90.5 WESA’s Paul Guggenheimer talked with Katie McGinty about where she stands on issues including the economy, gun control, foreign policy, energy and the environment. 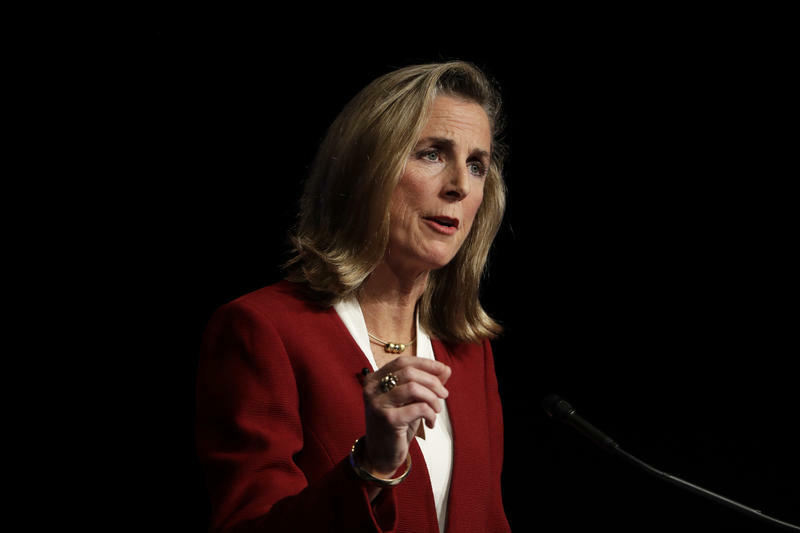 With the exception of the presidential campaigns, the Pennsylvania U.S. Senate race between incumbent Republican Pat Toomey and Democratic challenger Katie McGinty is the most expensive in the country. The matchup is being closely watched because it’s one that could tip the balance of power in the Senate in favor of the Democrats. 90.5 WESA’s Paul Guggenheimer talked with Toomey about where he stands on some of the issues including the economy, gun control, foreign policy, energy and the environment.